As of today, our Centre has been providing training in the Buteyko Breathing Method via the Internet for more than 12 years. In the meantime, more than 5 000 people were trained without leaving their homes, they were provided with practical instructions and achieved much success in healing their disease. 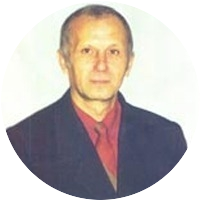 For that very reason, we invite you to go through a specially developed course of training in the Buteyko Breathing Method via the Internet. You will become an owner of a full package of materials including books, practical instructions and video of all classical Buteyko’s exercises. We will send you via the Internet the first part of the "Special Advanced Course in the Buteyko Breathing Method with Comments for Training via the Internet". Under complete supervision and with advisory support provided by the experienced Buteyko Breathing Method practitioner, you will master the practical skills. Following the successful practicing of the Complex No.1, we will send you the Complex No.2, which is the next stage of training. Together with your practitioner (with his recommendations and advice), you will master this second stage of practical training. After successful learning and improving two basic Buteyko’s Breathing Exercises we will start mastering the final Complex of Breathing Exercises No.3. "Classical Practical Exercises by the Buteyko Breathing Method"
Included in the course is the most complete lecture on the Buteyko Breathing Method, detailed presentation of all Classical Complexes of Buteyko’s Breathing Exercises, as well as a whole number of practical recommendations for implementation of the method. III. At the end of the joint mastering of all the practical trainings required, we will send you a Program of Training in the Buteyko Breathing Method (supervised by the experienced practitioner) for four months. Within two months, you will keep communicating with your Buteyko Breathing Method practitioner and will be able to get free advice on any issues. "... My pressure rather rarely exceeds 135/90. Today, my morning pressure is something about 122—128/75-80. Though, by the evening it is usually no less than 130/85. But anyway, it is approximately 10mm less than it used to be. If in the past 130/80 seemed to be the state of maximum relaxation and calming for me, now I am amazed to find my BP of 120/70. During these long 11 years of illness I can hardly recall such values without taking medicines. The signs of high pressure have definitely decreased. Previously, after dinner my pulse would become rapid, my face would turn red, I had sudden fit of weakness and was ready to drop, wishing only to fall asleep as soon as possible. My pressure jumped up to 145-150/90. Nothing of the kind happens now. I have a powerful instrument for managing any disease: the VDBE method. And I will do my best to improve my health..."
"Dear Sergey and Liudmila, I want to THANK YOU INDEED for your efforts. In early spring I thought if there was the 60th episode, then the other ones should be. This is how I discovered the talks ‘By the Fireplace’, as well as the episodes where Liudmdila tells about her life. Your story impressed me greatly. I have got the whole course of VDBE Technique from you. I have been training for more than a year. The control pause is increasing too slowly but understand that it is because I can’t relax correctly… Your episodes help me to master the technique and learn a lot of new things about which I have even had no idea. Thank you for giving hope for recovery, all the rest is up to us. Our family like your interesting talks of various kinds. It is very good that you have invited Klara Lagunova – her priceless advice is just what we need. We are proud that such people live in our country! All the best! "Dear Sergey, I am sending this letter to you as both a comment on your site, and my impression on your practical trainings. Your site has inspired me, the former nurse, to start training in the Buteyko Breathing Method. I was born in 1946. Now I am 58. Over a long period of time I had been working as a nurse at the military plant in Ural. I was exposed to a great dose of radiation. And, more dead than alive, I retired on a pension. I left Ural and moved to Krasnodar Region. While working in Ural, I was not only exposed to radiation but developed a whole lot of diseases. It is in Krasnodar, that physicians diagnosed the problem with my stomach – nearly a precancerous lesion. My head was constantly spinning. I was weak. I could hardly walk – the heart beat madly. My pressure jumped up and down. It is then that I learnt about your site. And I made up my mind to undergo the practical trainings. Though for me as a nurse it was so difficult to believe that something like breathing can stabilize pressure. I studied only for three days. And then I started training myself according to your instructions. It is just incredible, what changes occurred with me exactly for a few months… I used to pour enormous money into medicines! Having got a pension of 1700 RUR, I would spend 1000 RUR for tablets and pills. But that did not help. My tumor in the stomach was increasing… Now I just sit on the chair and breathe by the Buteyko Breathing Method. Not so long. Just once or twice a day for 15 minutes. But now I can go past the chemist’s holding my head proudly! I do not need their expensive, useless and sometimes fake medicines anymore! Do not need. It is amazing. I go past the chemist’s. Automatically slow down at the entrance, get my wallet and… and drop the wallet back into the bag leaving the chemist’s behind. Well, the habit of buying medicines has so far remained, but the Buteyko Breathing Method enables me to pass by the chemist’s. Several examinations in Krasnodar showed a sharp decrease in the tumor. Dizziness was several times less. Now, when I am walking my heart is not hammering in my throat. But that is not the half of the story. I still have atherosclerosis. I forget many things as before. But I am not going to give up trainings. It is a pity that some people underestimate breathing. And their breathing is absolutely abnormal. The traditional medicine will never let them free themselves from its strong embrace. All the best! Carry on the work of great Buteyko! That is worth a lot. "Dear Sergey, I am Marina from Ukraine. I have been training in the VDBE technique according to the Complex 1. I think that I am doing everything right, because I feel excellent. When I managed to reduce the high pressure, I was overfilled with positive emotions. In the mean time I have managed to remove a headache with the right-hand rule. I am chewing food well, I have less meals, I do not put sugar into tea, go to sauna, and have lost 3 kg. I sleep lying prone or on my left side, I do not wake up at night as it used to be, and breathe through my nose. The depth of breathing is becoming lessening. I do the exercises. I like the snake posture and twisting very much. In the prayer posture the breathing is reduced, but I do not feel well enough, may be, due to high pressure. I have learnt not to swallow the air in the street and breathe through the nose, though sometimes I have to walk slower than usually. The pause from 6 became 13! For me it is my tiny victory! If I am doing something wrong, please write. I am looking forward to your Complex No2. I have understood that my health is my own effort. Nobody will hand it to me on a plate, and no pill will cure the disease. Thank you for everything. God bless you! "Dear Sergey! Yesterday and the day before yesterday, we did our exercises, basically jogging and jumping like a hare or a frog. We doused with fresh water and rubbed urine. And now as to my way of thinking about the exercises. It is important to be in correspondence every day. But for your support and strong recommendations on performing everything required, I would have been scared immediately after the first cold in the head and stopped throwing cold water on my child, etc. While reading your letters, I became absolutely certain that I was doing right and I was on the beam. Now, the result is evident: when my child caught flu he came easily through it; the night cough disappeared, he feels better when playing and running, the cough is milder and not so frequent. I will continue to follow your advice. Thank you very much for your work! "Good afternoon, Sergey! Last night I returned home from work with a feeling of light asthmatic fit. I did Complex 3. On its completion, the fit stopped and I felt light. Before going to bed I did exercises again and immediately, moved to Complex 1. I could sit whole 5 minutes. Previously, 2 minutes was my maximum. I slept all night without wakening. Thank you very much. "Dear Sergey Georgievich, I don’ know how to make reports, so I will write in a free form. The first training lasted 4 minutes. At the beginning, the pulse was 92, the pause – 8-14, after the training the pulse-92, the pause 9-15. Within the past days I brought the duration of the training up to 15 minutes. My pulse reduced to 74 beats, the pause increased twice. I stopped taking tablets, I felt well, and had a good night’s sleep. I learnt to remove rhinitis and nasal stuffiness. In general, the method works, I never would have believed it! I used to throw cold water on me but the physician forbade it. I think, that I can start again, can’t I? I am looking forward to Complex 2. Thank you for training. "Dear Sergey! I have practiced three complexes of exercises so far. I have not decided yet which one to choose for the next few months. Would you answer a question, please: Why should I practice only one complex? I feel perfect. Thanks to my lucky star, I have opened the right web site and read about the Buteyko Breathing Method. Thank you, you have accomplished a great feat. Even if you save a few, it is worth shouting this great discovery from the housetop. I tell all my friends about it but they only smile and don’t believe even when they see that I’m getting better. So, I bend before your efforts and wish you good luck. "Dear Sergey, I would like to ask you some questions. Yesterday I breathed according to Breathing Exercise 1. At the beginning, CP was 4 sec., pulse - 96. After 15 minutes, CP was 6 sec., pulse - 82. This morning, at the beginning of the exercises CP - 5 sec., pulse -96. After 15 minutes, CP - 8 sec., pulse - 83. And what is more, after 3-minute exercises in the morning my nose began to clear itself. I can breathe for 3 hours without any drops. Though not in a full force. Is it normally for just two sessions? Or, may be, it is self-suggestion. And one more thing. Shall I train for more than 15 minutes? Or, may be, I rush things, don’t I? During a day I do my best for my breathing to be shallow and through the nose, though it is not easy. Is it correct? "Sergey, I would remind you that I had a severe allergic reaction when a cat was brought home. After three weeks of practicing Breathing Exercise 1, me results are as follows: during the first week or week and a half, I was aching all over and my diaphragm was pulsating when I was reducing the depth of breathing. Still, I felt that it worked: my nose was decongested and the cough disappeared in a week. It was difficult to cope with this technique but it was worth doing. Then I felt much better. Now, I do not breathe within 20-25 sec after exhaling and the diaphragm is not beating. I do exercises three times a day for 10-12 minutes. I have started with a 20-second MP. Now it is almost 30 seconds but is increasing slowly. The pulse is normal – 60/70." "I have told my 6-year-old son about the technique (breathe like a mouse does), squatted together with him in Complex 3. He grasped it, but to my thinking, not quite. In a few days when a pediatrician came and said, “Grisha, breathe deeply – I will examine your chest”, he answered: “I won’t breathe through the open mouth to drive bacteria inside my body”. It was funny. But the pediatrician missed the point of humour:). No doubt, children need a special pattern of explanations. Do you have any materials intended for children? "Dear Sergey, I greet you and wish you all the best! Thank you for the jogging procedure, I will read it just a little later. At the moment, I am helping one girl with her yearly essay and I am up to my eyes. But I want so much to tell you that with the Buteyko Breathing Method I feel incredible fit of energy. Thank you muchly!!!!!!!! "Good afternoon, Sergey! Today is my birthday. Do you know what present you have made me? FOR THE FIRST TIME, THIS SPRING I HAVEN’T FALLEN ILL! Thank you for the VDBE course!!! Now, I help some people. ?? But they say that he has something like glaucoma and cataract. And they want to operate him at $15,000. May be, you can recommend something or teach him. P.S. The grandfather seems to be going to have his crystalline lens replaced. But my mother’s granny died half a year right after this. I EVEN CAN’T PUT INTO WORDS ALL OF MY THANKS FOR VDBE!!!! NOW I CAN RUN AND EAT ICE-CREAM. AND I EVEN HAVE NO BRONCHITIS ANY MORE!